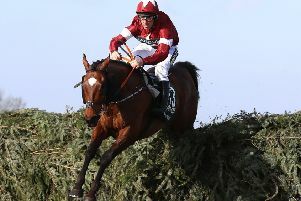 Trainer Gordon Elliott fields 13 runners in the extended four-and-a-quarter-mile showpiece, with last year’s winner Tiger Roll a short price to become the first dual winner since Red Rum in 1974. Jury Duty booked his Aintree ticket when shrugging off a 10lb penalty to win a decent event at Down Royal last month, easily accounting for stablemate and favourite Mala Beach. Roksana might be the value call in the Ryanair Stayers Hurdle. With Paisley Park not in attendance, this Grade One contest looks wide open. Dan Skelton’s charge was a fortunate winner of the Mares’ Hurdle at the Cheltenham Festival but it was still a fine effort from a mare who has yet to finish out of the first three in seven starts over obstacles. Us And Them will not be winning out of turn if he can land the Doom Bar Maghull Novices’ Chase. After chasing home his now-sidelined stablemate Le Richebourg in successive Grade Ones at Leopardstown, Joseph O’Brien’s charge again filled the runner-up spot behind the impressive Duc Des Genievres in the Arkle at Cheltenham. The other Grade One on the card is the Betway Mersey Novices’ Hurdle, in which Brewin’upastorm gets the nod. Aintree: 1.45 Defi Bleu, 2.25 Brewin’upastorm, 3.00 US AND THEM (NAP), 3.40 Roksana, 4.20 Mister Malarky, 5.15 1. Jury Duty, 2. Joe Farrell, 3. Regal Encore, 4. Tiger Roll, 6.20 Chica Buena. Chepstow: 2.15 Adherence, 2.50 Billy Hicks, 3.30 West To The Bridge, 4.05 The Dubai Way, 4.40 Clayton, 5.35 Church Hall, 6.05 Is A Real Champ. Leopardstown: 1.40 Mudlahhim, 2.10 Madhmoon, 2.45 Iridessa, 3.15 Solar Wave, 3.50 Japan, 4.25 Invasion Day, 4.55 Make A Challenge. Lingfield: 2.00 First Link, 2.35 Lestrade, 3.10 Berrahri, 3.45 Mythical Madness, 4.15 Fareeq, 4.50 Pendo, 5.45 Mackaar. Newcastle: 1.30 Amberose, 2.05 Echo Express, 2.40 Glinger Flame, 3.20 Newberry New, 3.55 Manamite, 4.30 Knockgraffon, 5.00 Dulce Panem. Wolverhampton: 6.00 Mr Fox, 6.30 Ebury, 7.00 Fantasy Justifier, 7.30 Bartholomeu Dias, 8.00 Zapper Cass, 8.30 Brigadier.